A naturally foaming face wash to deeply cleanse, balance natural oils and gently remove make-up and impurities without drying the skin. Gentle Coconut and naturally foaming Yucca deeply cleanse, Organic Mandarin helps balance, while Olive Oil and Sugarbeet nourish for a softer, supple finish. 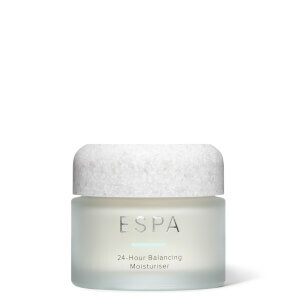 Lather into a damp face, neck and décolleté working in small, circular movements and rinse away with warm water. Repeat as desired to remove all traces of stubborn make-up and leave skin beautifully clear. Water (Aqua), Cocamidopropyl Betaine, Coco-Glucoside, Citrus Nobilis (Mandarin Orange) Oil, Phenoxyethanol, Limonene, Sodium Cocoyl Sarcosinate, Caprylyl Glycol, Sodium Chloride, Betaine, Olive Oil Polyglyceryl-6 Esters, Sorbic Acid, Yucca Schidigera Stem Extract, Sodium Benzoate, Phytic Acid, Linalool. I’ve been using the Balancing Foam Cleanser since Christmas and it’s just wonderful. Removes all makeup in a flash, even stubborn mascara. There’s not even a hint of tightness on my skin. I use one pump in the morning and sometimes two pumps at night depending on the makeup. I would highly recommend for oily or combination skin that’s prone to dehydration. I have tried so many different cleansers but always come back to this one. By far the best would strongly recommend to anyone with sensitive skin and acne. Love this product feel fresh and clean after using it. This is a perfect cleanser for face. I strongly recommend this one for each type of skin. Your skin will be soft and relaxed like a baby face. Love this balancing cleanser. I have combination skin and this cleanser gets rid of any oily patches but doesn’t dry out my skin. Have used it for years and wouldn’t change it. Can honestly say my skin has never been in better condition, which in turn makes me want to take better care of it! Weird! The balancing foam last for ages and leaves my skin feeling clean and soft. Lovely. Balancing foam cleanser is the proper cleanser for each type of skin even the sensitive one. I choose this one because it can rinse away very quickly and doesn't leave the skin dry. 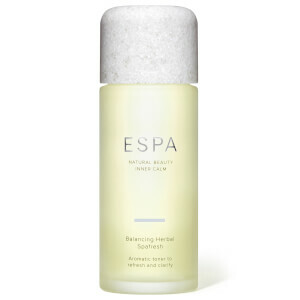 Many times ago I used different cleansers until I found ESPA product which corrected my oily skin type.